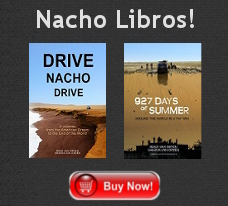 Drive Nacho Drive » Help Us Help Nepal! Of the thirty four countries we explored on our around-the-world drive, Nepal left us with the most long-lasting and positive impressions. We found the Nepali people unwaveringly kind and generous. In the wake of the earthquake that has occurred there, we want to do what we can to get them what they need and ensure that they are safe, comfortable, fed, and able to rebuild quickly. When Nacho was broken into in Argentina and our belongings were stolen, we didn’t ask for donations, but somehow money arrived through our donations button. Now something truly awful has happened, and we’re asking for your help. Our dear friend Baroon, with whose family we stayed while in Kathmandu is a medical doctor in San Francisco. He will be boarding a plane on Friday (that’s in four days) to go to Nepal to help lead a team of rescuers and doctors in emergency relief. We are accepting donations on Baroon’s behalf, which he and his team will use in the medical and recovery mission. Baroon is paying his own flight and living expenses; 100% of this money will go to emergency relief on the ground. If you wanted to help, but didn’t know where to put your money so as to get it in the hands of the right people, this is it. Baroon’s team will be focusing its efforts in the devastated regions of Gorkha, Didhilekhel, and Sindhupalchowk, where it is said that up to 90% of homes have been destroyed. 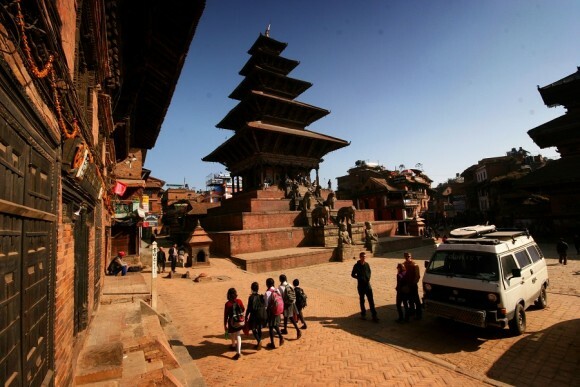 Knowing of your personal connection to Nepal and the hardship there, I’ve been looking forward to this opportunity to help. Thank you. Done and done. Thanks Brad and Sheena for passing on this opportunity. You can also help by this organisation. Thanks for taking the initiative to do this. Besides, I’d just “waste” the money on beer and motorcycles ………….. Thanks and Good luck to Baroon !!! After traveling with you both for a short leg on the Baja Peninsula and learning very quickly that both of you are so kind, generous and most of all outgoing, it would be my pleasure to donate to this devastating disaster. My prayers and thoughts are with all the families who have lost loved ones. Thanks, Luke. Sheena and I were talking about you guys the other day, wishing that you stilled lived in Banff (now that we live in Seattle). Hope to see you next time you’re over here. Thanks for offering to donate! Donated. I’ll spread the word. Followed your entire adventure. Took credit for the stories over many a family meal. We are a Syncro clan and totally respect what you pulled off with a two wheeler. Thanks for giving us an opportunity to contribute. 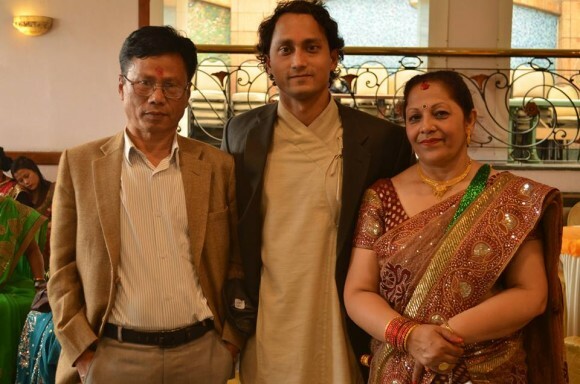 Pat & Dad, there is a little yellow Donate button above the picture of Baroon with his parents. Click that and away you go! Thanks so much for the help! It’s our 3rd and final day of fundraising for Nepal, and so far you all have given $4,920. At around 4:00 tonight I’ll be heading to the bank and transferring it all to Dr. Baroon Rai and his team, who are leaving tomorrow for Nepal. I can’t say how pleased we are to see this kind of support. If you still want to help, there’s still time—just 2.5 hours to go! You’re amazing. Thanks. Is is too late to donate? Bridget, It’s too late for us to get any more money to Baroon before he leaves, but if any more money trickles in we’ll be sure it gets into the hands of a good charity to help Nepal. It may get into the right hands more quickly if you donate directly to the charity of your choice, though. Thanks!